A coal plant in Datteln, Germany. [Arnold Paul/Commons]. Germany and the United Kingdom have 18 of the 30 most polluting energy plants in the European Union, according to a study by green NGOs, funded by the European Union. All but one of the EU’s most polluting plants were coal-fired, according to the report, Dirty 30, by a coalition of environmental NGOs, including CAN Europe, the WWF and the European Environmental Bureau. Germany is the country with the most electricity generated by coal, followed by Poland in second and the UK in third. The Be?chatów plant in Poland topped the list of heavy polluting plants, followed by Neurath and Niederaussem in Germany. The UK Drax power plant came in sixth. Greece and Italy also had power plants in the top 10, Agios Dimitrios (8) ad Brindisi Sud (9), respectively. The data for the report came from EU countries’ submission to the European Commission for the Emissions Trading Scheme (ETS) for carbon dioxide. The report, which received EU funding, showed that between 2009 and 2012 there was a slight increase in electricity generated from coal, despite it being regarded as one of the most polluting fossil fuels. The report, published yesterday (22 July), attributed the increase to existing coal plants running at near full capacity, rather than the creation of new plants, due to the low market price of coal. “With the low coal price and the price of CO2 on the international market (in the emissions trading system) and the high gas price, we have a risk, especially with the energy security debate, that there will be a push for more indigenous fossil fuels,” said Darek Urbaniak, an energy policy analyst with the WWF. Coal is one of the most abundant and easily extractable fossil fuels in the European Union. The EU has shale gas deposits but these are regarded as more complex and expensive to exploit, due to the geological depth of the deposits and the required method of extraction, hydraulic fracturing, or ‘fracking’. Green NGOs also point out that the low price of coal undermines the switch to less-polluting renewable energies. Germany is planning to open new lignite mines in the east of the country, on the Polish border. Poland is also making similar plans on the other side of the border. Germany has begun phasing out its nuclear power generation, since the Fukushima disaster. The European Commission is due to make an announcement today on whether to allow the UK to continue plans to develop a so-called capacity mechanism for energy generators. The UK government is concerned that the country will not have enough electricity capacity to meet peak demand in the coming years. In Britain, electricity generators bid to secure a government contract to provide grid capacity. Under the new capacity mechanism proposals, generators could secure a contract of up to 15 years. The coal-fired generators, which are likely to be able to bid at the lowest price, could then use the payments they receive for winning the bid to invest in upgrades. Many UK generators already need to do this to comply with EU rules in the Industrial Emissions Directive. UK generators could then, effectively, be using the payment akin to a subsidy to allow them to comply with another EU law. This may then mean that they fall foul of EU competition rules, analysts say. “According to EU state aid rules, you are only allowed to give a subsidy to an undertaking if it is to do something that the undertaking wouldn’t have done anyway,” said Maria Kleis, a lawyer with Client Earth. Governments are allowed to subsidise activities that match certain political priorities, such as renewable energy generation, that may face market barriers. 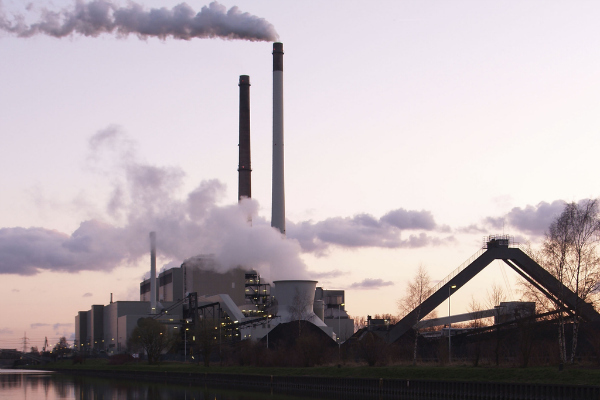 Environmentalists are also concerned that the capacity mechanism could lock the UK into coal-fired electricity generation for 15 years, three years after its power sector is supposed to be decarbonised so as to meet the targets in the Climate Change Act. “Giving power stations like coal that really have no place in a low carbon electricity system subsidies for that long is crazy from a perspective to decarbonise and also from a perspective of air pollution,” said Jenny Banks, of the WWF’s UK office. Poland, France and Germany are also looking into capacity mechanisms as an energy strategy. Mona Bricke, European coordinator at Climate Alliance Germany, said: "The next phase in Germany's Energiewende must focus on how to transition away from coal. If Germany and the EU are serious about meeting their climate targets and transform their power sector, a German coal phase out is key. There is no way around that simple truth. The fact that 9 out of the 30 most CO2 emitting power plants are located in Germany, most of which burn lignite, is a case in point." Europe aims to reduce its primary energy use by 20% by 2020, a target which is not legally binding. Coal-fired energy generation grew by 45% between 2000 and 2010 globally, far outpacing the 25% growth in non-fossil fuel generation over the same period, according to the International Energy Agency (IEA). Some 60% of the new coal capacity has been ‘sub-critical’, the least efficient class of commercially available coal-fired generation technology. Coal plants are responsible for the release of more carbon dioxide emissions than any other type of fuel, making them a leading cause of globl warming. The combustion of coal can also lead to the release of sulfur dioxide, nitrogen oxides, particulate matter and mercury, which are linked to health problems, such as respiratory diseases, and environmental concerns, such as water and soil pollution and land degradation. We could be lining Putins’ pockets more? The ultimate Orwellian oxymoron : “Carbon Pollution” . The building block of the biosphere is provably greening the planet , not warming it .